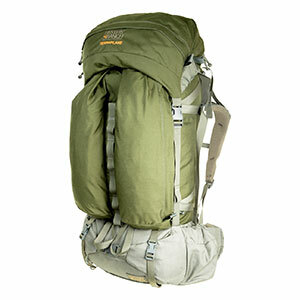 Versatile travel bag, simple minimalist design, okay for weekend backpacking trips, nice main pack/daypack combo. Took this bag with me on trips to Greece and Turkey and Tanzania, the Caribbean and Japan, as well as backpacking trips in Texas. A great travel bag, the ability to tuck the straps in and convert it to a suitcase configuration was nice for keeping the straps from getting caught on stuff when checking it on flights, and when checking into nicer hotels that don't cater to the backpacking and hostel crowd. I liked the simplicity, not a lot of pockets and extra compartments on either the main bag or the daypack. The main pack just has the main compartment, with a large zipper flap that lets you really open the bag up and get easy access to stuff at the bottom, and the two side compartments, that are great for storing an extra pair of shoes (you can fit a pair of Tevas in one compartment, or one running shoe in each compartment). 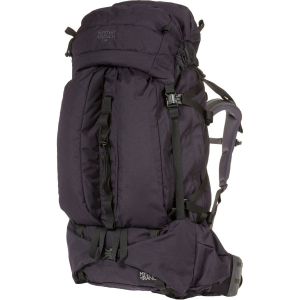 The day pack has just a main compartment and a smaller pocket on the front. It's not the best backpack for true backpacking, okay for a weekend but not much more. The hip belt is good, but there is no chest strap (though I was able to improvise one). 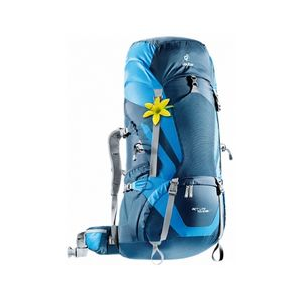 The daypack is pretty good, and for years I used it separately from the larger pack. 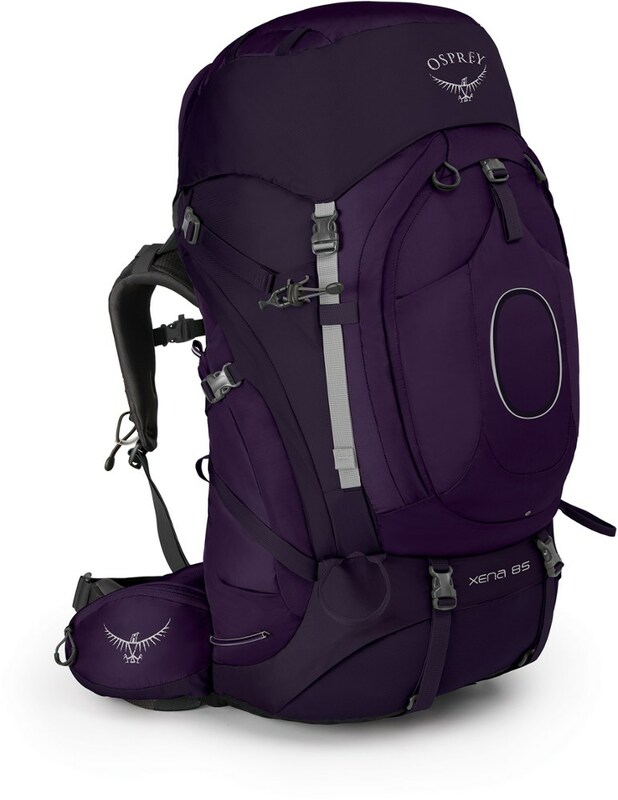 You can't really have the daypack full when it is attached to the larger bag, as it throws off your balance when hiking, even when compression straps are tightened. Another issue is the smaller pocket on the daypack, though its opening is on the outside of the bag, the pocket is inside the main compartment, so anything you put in the smaller "outer" pocket takes up space inside the main compartment. Unlike a Superbreak, where the smaller pocket is sewn to the exterior of the bag so it doesn't take up space inside the main compartment. Both bags held up well through 15 years of hard international travel and several rough, dusty backpacking trips in Texas. My skin got torn up by acacia thorns in Africa and mesquite and cactus thorns in Texas, but the nylon never got a tear or run. I finally replaced it because a.) I needed a bag with a better ride for true backpacking trips, and b.) now that I have a family my vacation travel is more suited to rolling suitcases than convertible packs. And when one of the shoulder straps had finally torn halfway through on the much-used daypack, I got a separate Superbreak. 2. Make the daypack more like a Superbreak with an external small front pocket. Since the bag carries better (in either configuration) with the daypack empty and folded up inside the big bag anyway, the extra extension would not be a drawback. Welcome to Trailspace, Mark! Thanks for sharing a review of your Jansport with us. 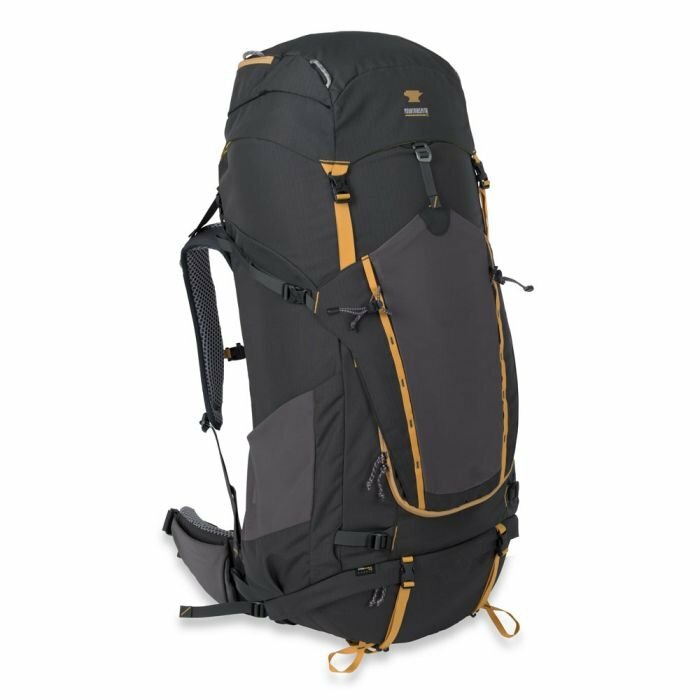 If you have any picture of your pack, those would be great to see in your review. I love this bag. It's a great travel back as well as for hiking. The straps all tuck in to a special compartment that zips up for a compact suitcase, like bag that you can check-in for flights. Then, when you get to your destination you can pull out the straps and hike away. 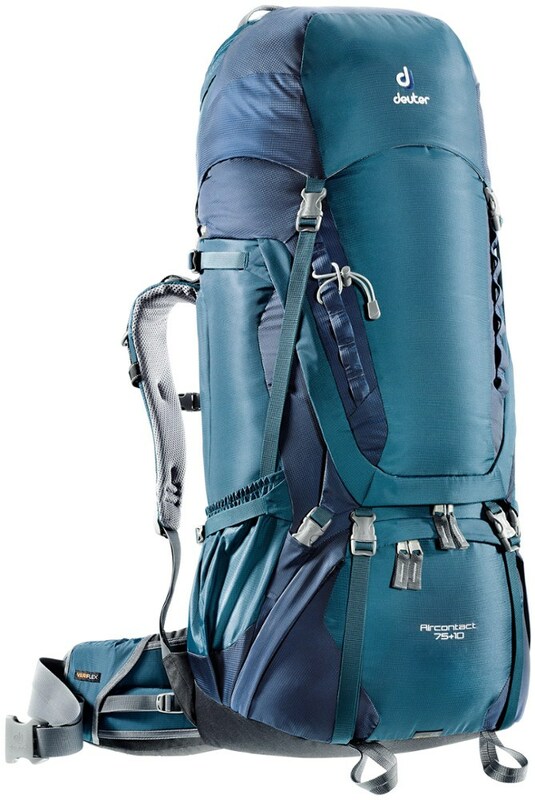 It holds a lot of gear and has very efficient compression straps. Its lightweight metal support bars also make it one of the sturdiest bags I've ever strapped on. But the best thing about it is that there aren't a lot of excessive straps and flaps hanging off everywhere, getting snagged on branches and things. That doesn't mean you can't hook things on. And it has two perfect size outer pockets. The small zip-off pack for day hikes is cool too. However it feels better when you just use the big sack. It's the large volume bag that impresses best. It's too bad they stopped making this bag. I think a lot of people would enjoy it as much as I do. The Bhutan has been discontinued. 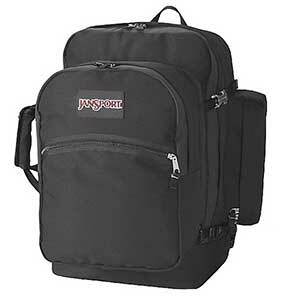 The JanSport Bhutan is not available from the stores we monitor. It was last seen sometime before 2006 at Sierra.